Broken Hill is truly the Accessible Outback! Served by commercial flights daily from Sydney (direct and via Dubbo) and Adelaide, The Indian Pacific train three days a week ex Sydney en route to and from Perth, daily CountryLink coaches, and two highways (the Barrier and Silver City Highways), getting here is literally a matter of planes, trains or automobiles! 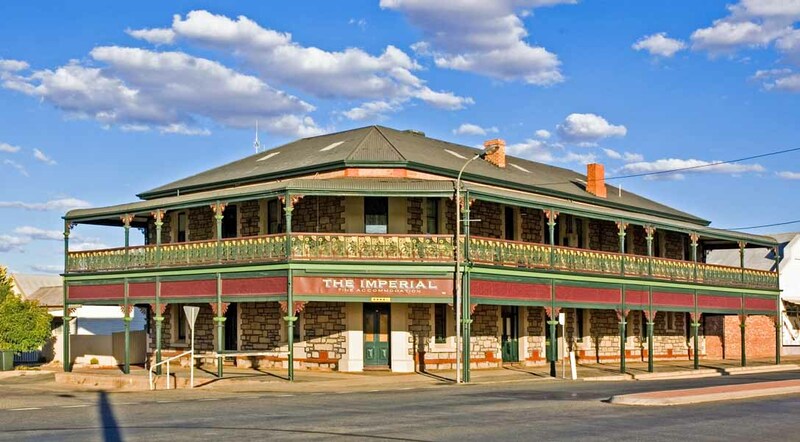 Once you hit town, The Imperial is north along Oxide Street (corner of Cobalt Street): within walking distance of the railway line and Broken Hill’s main shopping strip, Argent Street. A vibrant community of 20,000 people, Broken Hill is on Central Standard Time, has an average rainfall of less than 250mm annually; summer temps reaching 40+°C, and winter is glorious sunny days and cold nights.